Vision changes for those with age related macular degeneration (AMD) can range from mild symptoms such as the need for more light to more severe vision loss such as a large blind spot right in the middle of one's vision. The symptoms a person experiences often correlates with the stage of their macular degeneration. Not only should you ask your doctor what type of macular degeneration you have, but also ask what stage it is in. In the early stage, an eye doctor will see small yellow-white deposits called macular drusen during the retina exam. At this stage there are usually no noticeable vision changes. 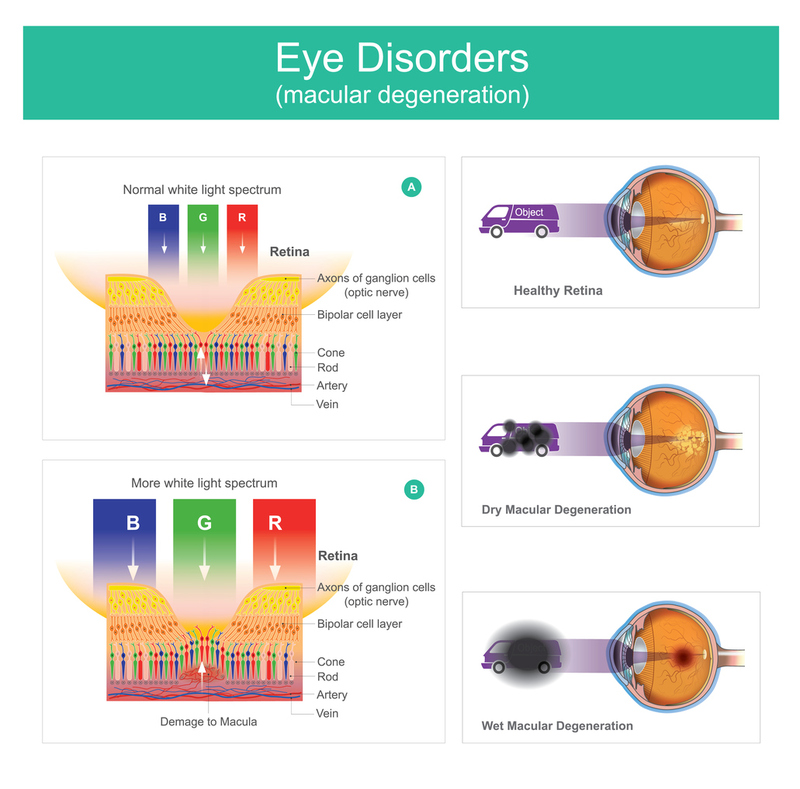 However at the next stage, intermediate macular degeneration, symptoms are present such as the need for more light, vision is not as sharp and crisp and a blurred spot may appear right in the middle of one's vision.